Who said engaging kids in science was hard? QuestaGame For Schools is a science adventure your students will love. They’ll not only have fun while learning about biodiversity, but they’ll compete against other schools and contribute valuable biodiversity data to research and conservation. In other words, your students will be scientists. 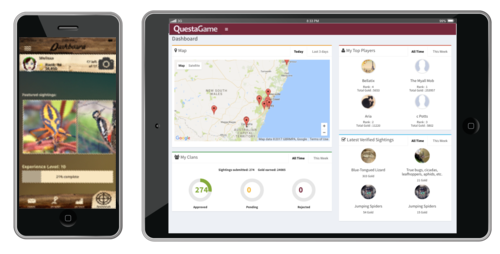 Teachers or administrators: If you don’t already have a QuestaGame account, download the free QuestaGame app and create your account. If you’ve already registered, skip this step. Free for 1 year with this offer code. Normally US$100 per team, per year. Free with this code.